Read about the variety of payment options offered on the Apple Online Store, and how the tax on your order is calculated. Can I place an order using a non-Singapore credit card? Can I get GST refund? The Apple Online Store accepts a variety of payment methods. Click on a payment method below to find out more. Some payment types are ineligible for orders shipping to multiple addresses. If you are using an ineligible payment type for an order shipping to multiple addresses, you will need to change the payment method, or ship your order to a single address. For new or recently reissued card, the card needs to be activated first. 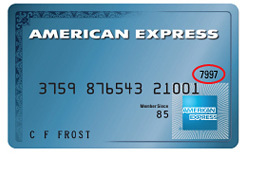 Check that the card details entered are correct, the card type (AMEX, Masters,Visa), card number and the expiration date. Remove any dashes or spaces for the card number. If you do not have sufficient credit limit, please check with your card issuer. If you have exceeded your daily spending limit for your debit card, please check with your card issuer. If everything seems to be correct, contact your card issuer. Your card issuer may need to verify with you before they authorise your purchase. To prevent any unnecessary delays in processing your order, please ensure that the billing address on your order and credit card account matches. If you have recently moved or are unsure of your billing address, please contact your credit card-issuer to confirm. 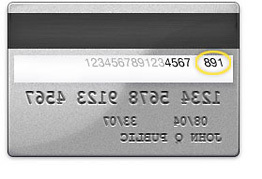 The credit card security code is a unique three or four digit number printed on the front (American Express) or back (Visa/MasterCard) of your card. Most debit and credit cards have daily spending limits that may substantially delay the order processing, even if there is enough money in an account. When using a debit card, funds are immediately reserved in your bank account upon order placement. Please consult your card-issuer for more information about your daily spending limits if you are having trouble in placing your order. When you place an order, Apple will contact your credit or debit card's issuing bank to confirm it is a valid account. Apple requests an authorisation, which holds the funds for the full or partial purchase amount. As Apple prepares your items, authorised funds will be unavailable and your card will only be charged after your order has shipped. If your order contains multiple items and they ship at different times, you may see multiple charges on your credit card statement. If you cancel your order before it has been billed, Apple will contact the bank within 2 business days to request the authorisation reversal. Any authorisations placed on your credit or debit card account can take up to 30 days to reverse, depending on the credit card issuer. Contact your financial institution for their specific timeframes. Place your order with an Apple Representative by phone on 1800-MY-APPLE (1800 692 7753). Obtain the final dollar total of your order, including GST from the Apple Representative. Confirm that your cheque is for the full amount of the order. It is not possible to combine a cheque/money order with another form of payment for one order. Make the cheque payable to Apple South Asia Pte Ltd, and include your web order number or a copy of your order. Apple must receive your payment within 10 calendar days after your order is placed or your order will be cancelled. Please allow four (4) business days after Apple receives your payment for your cheque to clear before we start processing your order. Apple is unable to accept a cheque associated with a billing address outside of Singapore. Please be aware that bank transfer and cash/cheque deposit are not applicable to certain products. Obtain the final dollar total of your order including tax from the Apple Representative. Have your bank electronically transfer the total dollar amount of your order using the routing information below. Reference your web order number with your payment. After receiving your payment, allow one (1) business day for Apple to process your bank transfer payment. Write down your Apple Web Order number (the number starting with W) on the deposit slip. Scan a copy of your deposit slip and email the attachment to the following email address: Receipts@apple.com or fax to: 6480 8960. If you are making over-the-counter cheque deposit, please indicate the account number at the back of the cheque. Note: Please allow up to one (1) business day for Apple to receive your payment and start processing your order. 0% interest credit card installments is available to Singapore residents purchasing using a DBS/POSB, OCBC Bank or CitiBank consumer credit card. To qualify purchases must exceed $500 SGD. Orders must be placed with the Apple Online Store (made via Telesales, 1800-692-7753). OCBC Corporate Cards, Business Cards and Private Label Cards do not qualify for this offer. Corporate Employee Purchase Program (EPP) and Refurbished Product purchases are eligible for 0% interest installments. The payment method for an order cannot be amended once the order has been submitted to Apple. To chose an alternative payment method, you will need to cancel your existing order and place a new order with your preferred payment method. Please note that when cancelling credit card orders, it can take up to seven (7) business days for the payment authorisation to be removed by your credit card company. The security of Apple Store servers is closely monitored to prevent any unauthorised disclosure or use of credit card numbers and to protect the confidentiality of your personal information. The Apple Store uses the SSL (Secure Socket Layer) industry standard, the highest level of security available today for web-secured applications. SSL relies on a pair of public and private key technologies provided by Verisign, Inc. and based on a 40-bit encryption algorithm developed by RSA Data Security, Inc. When you place your order, Apple requests authorisation to charge the order amount from your credit card company. If you ordered more than one item, there may be multiple authorisations. Once we receive approval, Apple reserves the amount on your card until the items are available to ship. Your card will be charged when your order ships. If you ordered more than one item, there may be more multiple charges as items ship separately as they become available. If your order was not authorised online, please confirm you have correctly entered your credit card details and place your order again. If you still have difficulties please contact your credit card company to make them aware of your order. 1. Contact your card provider to advise them that you have placed an order with Apple so that the payment can be processed. 2. Visit Order Status to verify your payment or to make changes to your payment information. Please note that it may take up to 24 hours for the status to update. If you placed your order without an Apple ID and wish to make changes to your payment information, please contact the Apple Store Customer Service team for assistance. We are unable to accept credit cards issued by banks outside of Singapore. GST refund is not available for all purchases (including in-store pick-up orders) made at the Apple Online store. You can shop at an Apple Store to get your GST refund if you are eligible for the tourist refund scheme. For iPhone returns (not purchased in volume), you may return your undamaged iPhone with its included accessories within 14 days from the date you received the product. Here’s the important part: returning your iPhone may not automatically cancel or reset your wireless account; you are responsible for your wireless service agreement and for any applicable fees associated with your wireless account. Please contact your provider for more information. Opened software cannot be returned if it contained a seal with the software license on the outside of the package and you could read the software license before opening its packaging. As an exception, you may return Apple-branded software if you do not agree to the licensing terms; however, you may not retain or otherwise use any copies of returned software. It’s not legal . . . and it’s not nice. Must be returned to the Apple Store where originally purchased. A wireless service plan is required to activate all iPhone features. Making unauthorized modifications to the software on an iPhone violates the iPhone software license agreement. The common term for modifying an iPhone is jail-breaking, with a particular emphasis on the second part of that term. That’s why we strongly, almost emphatically, recommend that you do not do so. Really. Should you be unable to use your iPhone due to an unauthorized software modification, its repair will not be covered under the warranty. Apple may, in its sole discretion, refuse or cancel any order and limit order quantity. Apple may require additional qualifying information prior to accepting or processing any order. Some Apple products utilize wireless services that may incur extra costs and are governed by the terms of a separate agreement between you and your selected wireless service provider. With regards to pricing, Apple reserves the right to change prices for products displayed at/on the Apple Store at any time, and to correct pricing errors that may inadvertently occur. Additional information about pricing and sales tax is available on the Payment & Security page. Should Apple reduce its price on any Apple-branded product within 14 calendar days from the date you receive your product, feel free to contact the Apple Contact Center at 1800-692-7753 to request a refund or credit of the difference between the price you were charged and the current selling price. To receive the refund or credit you must contact Apple within 14 calendar days of the price change. Please note that this excludes limited-time price reductions, such as those that occur during special sales events. Price protection is only available for up to 10 units of a particular product. Additionally, we may require that you have the product with you or otherwise have proof of possession when requesting price protection. Once we receive your order, we’ll provide you with an email order confirmation. Your receipt of an order confirmation, however, does not signify Apple’s acceptance of your order, nor does it constitute confirmation of our offer to sell; we are simply confirming that we received your order. The Apple Store reserves the right at any time after receiving your order to accept or decline your order for any reason. If Apple cancels an order after you have already been billed, Apple will refund the billed amount. Please review the Shipping & Pickup page to learn about how and when you will receive the products you purchased from the Apple Store. Since the actual delivery of your order can be impacted by many events beyond Apple’s control once it leaves our facilities, Apple cannot be held liable for late deliveries. We will, however, work with you to ensure a smooth delivery. Apple offers in-store pickup for many of the items available on the Online Store. Certain products and payment methods, however, may not qualify for in-store pickup. Only you or the person designated by you may pick up the item(s) purchased. A government-issued photo ID and order number will be required for pickup. Apple will notify you when your order is ready and the date by which you need to pick up your items. We’ll also send you a reminder or two, just in case it slips your mind. If you don’t pick up your order, Apple may cancel it. Please visit Shipping & Pickup for complete details about in-store pickup. There are more than 35 Apple Online Stores in countries or regions around the globe. The Apple Online Store Singapore ships only within Singapore. We do not ship to freight forwarders. If you would like to purchase Apple products from outside Singapore, please see our International Store Directory to find out if an Apple Online Store serves your country or region. The Apple Store sells and ships products to end-user customers only. You may not purchase products at the Apple Store for resale, and we reserve the right to refuse or cancel your order if we suspect you are doing so. And we’re pretty good at figuring that out . . . The Apple Store accepts orders from billing addresses within Singapore. Apple will not ship products purchased at the Apple Store to an address outside of Singapore. This contract is subject to applicable export control laws. You may not export any product purchased from the Apple Store to another country or region if prohibited by export control laws. If you do plan to export an Apple product to another country or region, you must obtain any legally required export licences (or other government approvals) prior to doing so.